Greenville, South Carolina —- United States Attorney Sherri A. Lydon announced today that Wesley Dallas Ayers, 27, of Anderson, South Carolina, was sentenced in federal court for using, attempting to use, and threatening to use weapons of mass destruction; possession and discharge of a firearm in furtherance of a violent crime; and use of an explosive device during the commission of a felony. 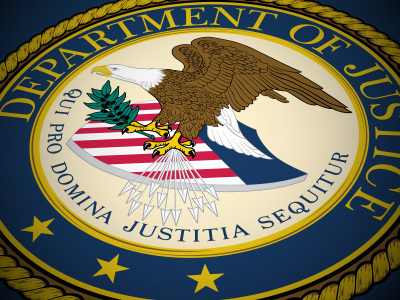 United States District Judge Henry M. Herlong, Jr., of Greenville sentenced Ayers to 361 months in federal prison and five years of supervised release. There is no parole in the federal system. Ayers had previously admitted that he constructed, and then placed, three explosive devices in various parts of Anderson County between January 24, 2018, and February 24, 2018. A device placed by Ayers on January 30, 2018, at the intersection of Travis and Martin Roads in Anderson County, detonated and injured one individual. The other two devices, which Ayers also placed in or near area roadways, were intercepted and rendered safe by federal, state, and local law enforcement agencies. In that same timeframe, Ayers placed three hoax devices, which resembled explosives but did not contain any blasting agent. With some of those devices, the defendant left threatening messages that more, and more powerful, devices were to come. Ayers was arrested after an exhaustive month-long investigation, with the combined efforts of the Federal Bureau of Investigation; Bureau of Alcohol, Tobacco Firearms and Explosives; Anderson County Sheriff’s Office, and numerous law enforcement agencies from around the State of South Carolina. DNA and other forensic evidence associated Ayers with the various devices. Additionally, a search of his property produced numerous items consistent with the manufacture of the same. Judge Herlong found that the dangerous and lethal nature of the devices, weaponized with shrapnel, concealed in household items, and publicly placed in or near roadways justified the substantial sentence. He emphasized the length of Ayers’ campaign against the citizens of Anderson County for more than a month’s time and that only by the efforts of law enforcement and sheer good fortune were more individuals not seriously harmed or killed. The case was investigated by the Federal Bureau of Investigation in conjunction with numerous other federal, state, and local law enforcement agencies. Assistant United States Attorney D. Josev Brewer of the Greenville office prosecuted the case.